Does your Face Fit? 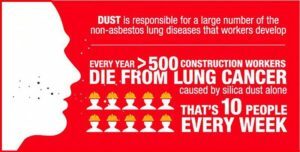 Do You Need Face Fit Testing? that Face Fit testing be carried out with this equipment. Many types of industry, during their work process, can generate hazardous substances, resulting in a requirement for Face Fit Testing and training. RPE is designed to protect the wearer from these hazards and has to be adequate and suitable to ensure the wearer is protected. 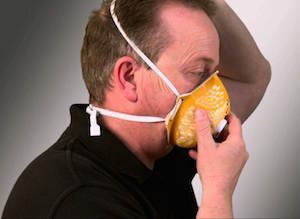 Accessible Ltd have experienced qualified trainers, who will come to your site, and Face Fit train your staff on how to fit their RPE correctly, so they know and understand, how that mask will feel on their face, when it is correctly fit. Failure to comply with this legislation, not only puts your staff members, long term health at risk but could have real consequences to your business operations and leave your directors and managers open to a very real risk of prosecution under the corporate manslaughter act 2009, which may result in large fines or prison. Face Fit Testing and Training Course Costs. £42.50 per person (Minimum of 8 delegates per course = £340.00) at our Nelson Training Centre.